The use of Proviron microalgae has a positive effect on bacterial communities in larval rearing tanks and significantly improves the overall health and survival rate. The algae are offered as freeze dried biomass. 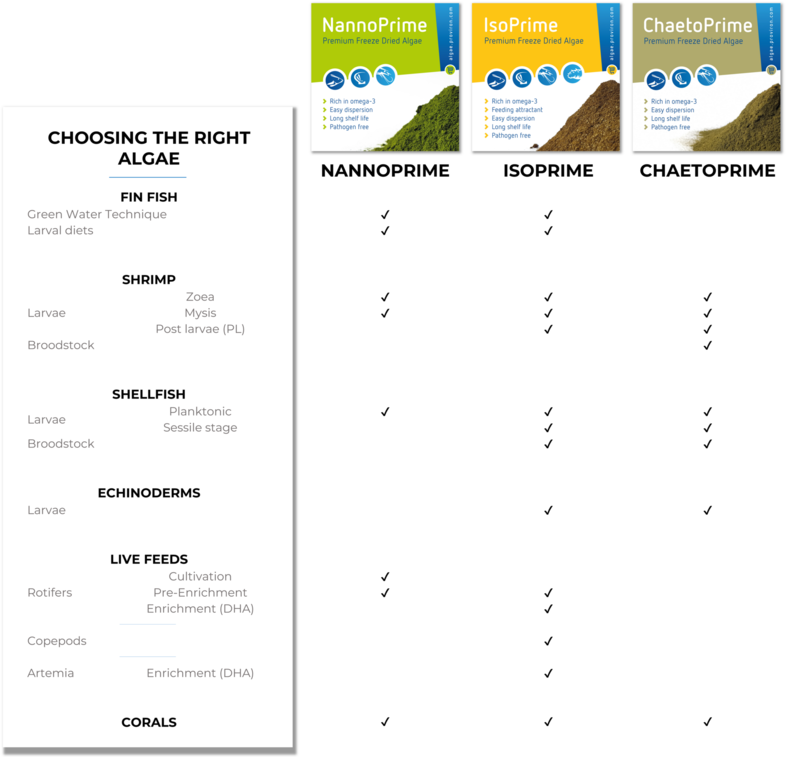 Algae at Proviron are freeze dried and provide the longest shelf life, no nutrient leakage, optimal lipid profiles and an ensured poly-unsaturated fatty acids.